Happy 150th Birthday Canada! July 1 isn't only Canada' Birthday, but it is also time for a new challenge at High Hopes Rubber Stamps! 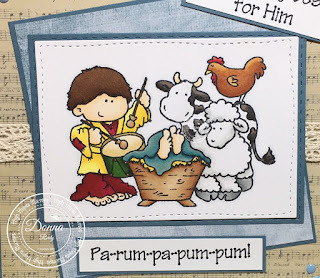 This month it is Anything Goes (except digital stamps) so I have decided to do a Christmas in July type theme.......and officially make my first Christmas card for the year! 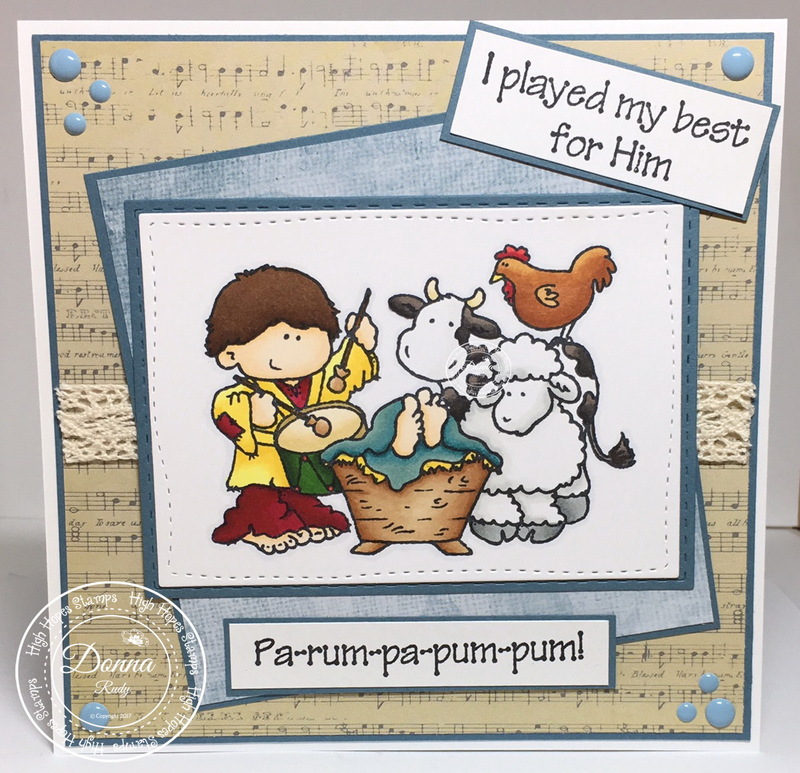 I chose "Best For Him" from High Hopes Rubber Stamps - I think this stamp is just to adorable!! I can't get the song out of my head now but that is a whole other story! After colouring these cuties with alcohol markers, I cut it out using a handstitched die. I used a second style stitching die to cut my cardstock piece to go behind it. I love the blue and tan paper colours from Kaisercraft so I set about choosing my paper, cutting it and glueing everything down. 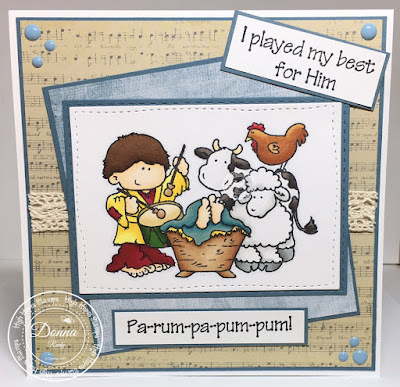 The sentiment, also from High Hopes was stamped, cut out and mounted on matching cardstock. Some simple crocheted ribbon and some gumdrops finish off my card. 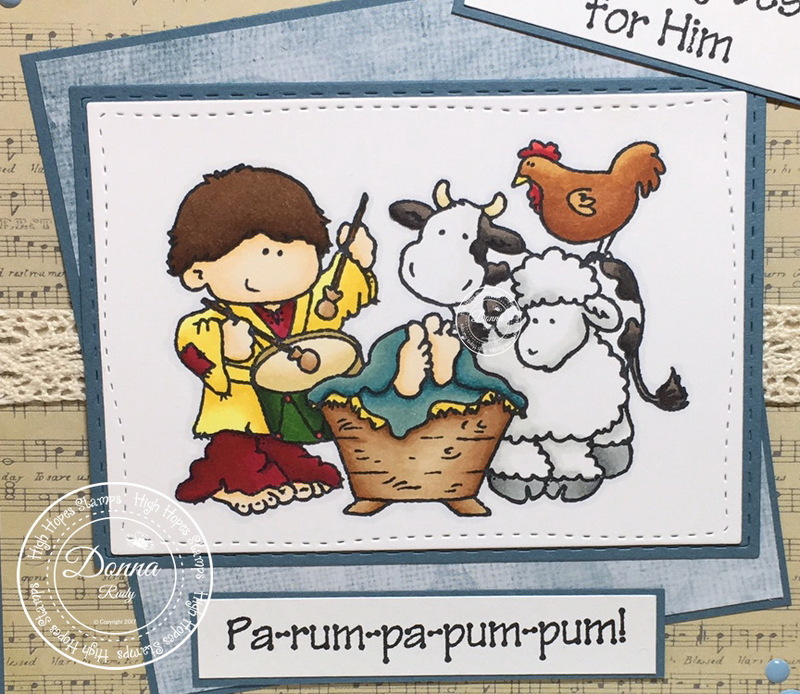 I hope you will link up your favourite stamps and come play along in our challenge! We can't wait to see what you create! Click here for more details and to come play along! Love how this turned out! The colouring is awesome and looked even better in person! The layout is fabulous too! This is sooooo beautiful Dona!